If you’ve recently learned that you’re suffering from hyperhidrosis, your doctor may have recommended iontophoresis as a potential treatment option for your heavy sweating. But what is this treatment, and how does it help your excessive sweating problem? These are some of the most frequently asked questions about iontophoresis devices and treatment. Iontophoresis treatment works by using small electrical currents to reduce overall sweating. After several treatments, the electrical currents shut down some of the body’s sweat glands, reducing sweating. This treatment option is sometimes recommended by doctors when other alternative treatment methods to reduce sweating have failed or aren’t options; for example, if medications have too many side effects for a patient’s preference, this treatment may be recommended. Individual treatment sessions to reduce sweating take very little time, making them easy to fit into a busy schedule. Iontophoresis therapy sessions last about 10 to 20 minutes each, but several sessions will be needed to shut down the sweat glands. Regular treatments can be effective in reducing or stopping excessive sweating, but individual results will vary, so it’s important to talk to your doctor before starting treatment. 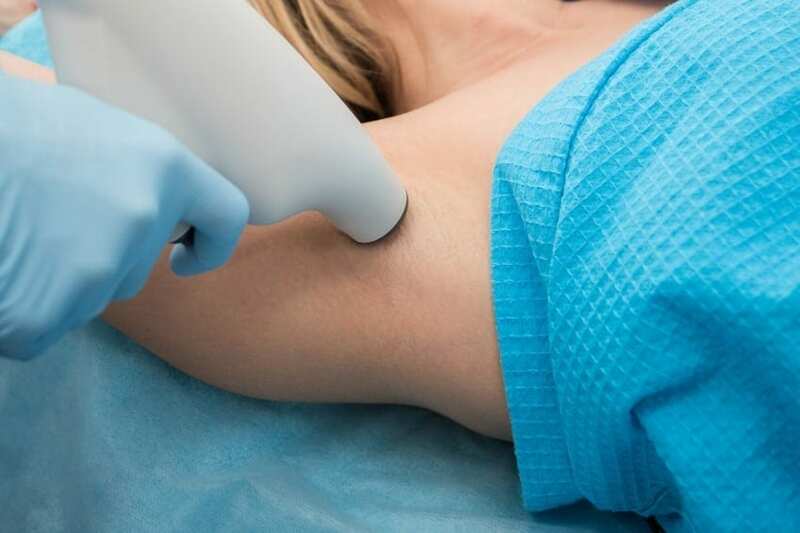 While the concept of using electrical currents to reduce sweating may sound a bit unnerving, the procedure is incredibly safe. Iontophoresis treatment is a fairly common treatment for hyperhidrosis, a condition that affects a significant percentage of the population. If you have concerns about treatment, talk to your doctor, but generally speaking, this treatment option is safe to use to help with excessive sweating. Is it right for my hyperhidrosis? Iontophoresis might be a good hyperhidrosis treatment for you depending on your situation and your doctor’s recommendation. If you’ve had issues with medication for this condition in the past or are unable to use medication to treat this for other reasons, this device could be the answer for how to treat hyperhidrosis in your situation. Talk to your doctor before you start seeking out a new form of hyperhidrosis treatment. Hyperhidrosis can be an irritating and embarrassing condition, but there are forms of treatment that can help you. For more information on iontophoresis machines and how to use them, contact Hidrex USA today.